It’s time for Tastemaker Tuesdays again! This week’s featured tastemaker is Digiwaxx music director, Cashmania. Cash has been around for a while, and many of my peers know him. 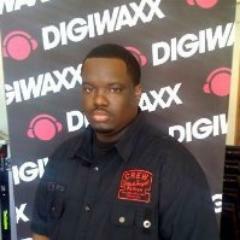 He’s been running Digiwaxx for a while now (for those of you who don’t know what Digiwaxx is, its the biggest record pool in hip hop). He’s also a reputable A&R consultant, and has been known to help break several artists in the past few years. To sum it up, it’ll be a blessing for you all to have your music heard by him. Check back this evening to see the feedback he gave!